Talk is Jericho Recap - Jericho's Journey from WWE to AEW, Vince McMahon's Reaction, Almost Working for Impact, More! 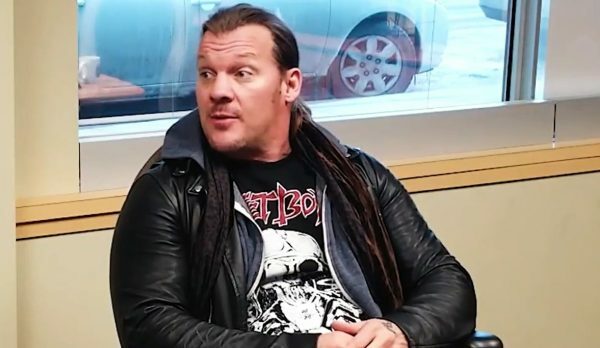 Talk is Jericho Recap – Jericho’s Journey from WWE to AEW, Vince McMahon’s Reaction, Almost Working for Impact, More! Jericho decides to use this show to talk about the hottest news in the industry; the fact that he has signed with AEW. Jericho points out that a lot of people have used his quote from a few years ago against him. A couple of years ago Jericho said he’d never work for competition of Vince McMahon in the United States. He says that was the truth back then, but things have obviously changed. After leaving WWE a couple of years ago to tour with Fozzy, Jericho found himself to be too busy to wrestle at all. The band’s new album did better than they ever anticipated and that meant their tour would be longer than they thought. They toured for 19 months and he was simply too busy to return to WWE at any point during that tour. In 2017 he received a call from Don Callis, who suggested to him that he should consider working a match against Kenny Omega for NJPW. Jericho was hesitant but the idea quickly grew on him. He signed off on a deal and then called Vince McMahon with the news, who was very accommodating of Jericho’s decision, and there were no issues at all. The match with Omega went off without a hitch and they drew new fans to the product which was very important to Jericho. He started to enjoy the NJPW way of doing things, which was more of a “wild, wild west” situation compared to WWE where Vince McMahon basically runs everything.